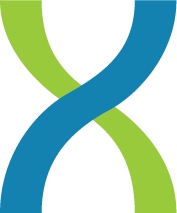 We are proud to welcome you to DNAnexus, a new paradigm in DNA sequence analysis. As the race to reduce the cost of sequencing continues, it’s become clear that the next bottleneck standing in the way of cheap, ubiquitous sequencing will not be the sequencing throughput or reagent cost—it will be the analysis and management of that data. This is our mission: to eliminate the sequence analysis bottleneck. To achieve this goal, we’ve built the foundations of a compute platform that will change how people approach next-gen sequence analysis. We believe the power of next-gen sequencing should be accessible to everyone. A bioinformatics PhD should not be required. You should not have to purchase a computer cluster, disk arrays, or hire IT staff to configure them. You should not have to install or configure software, nor should you have to manage complicated data transfers or manipulations. We’re going to change that by leveraging cloud computing and Web 2.0 technologies to solve your sequence analysis problems, so you can instead focus on the science. As next-gen sequencing evolves from a highly specialized field of work to a more general-purpose tool used in the life sciences, we need to free people from the burden of managing Gigabases and data pipelines. We need to elevate researchers to a higher level of abstraction, to think in terms of genes, interesting loci, and what the experiments tell us about the biology. Storing your sequence data in the cloud and doing all your management and analysis there is the first step in this process. Who are we? We’re scientists and users of next-gen sequencing technologies, frustrated with the state of sequence analysis, just like you. Founded out of Stanford University, we’ve picked up some amazing people from places like MIT, UCSC, Berkeley, and UCSD, and we’re building a top-notch team intent on growing a powerful sequence analysis ecosystem around dnanexus.com. If this resonates with you, join us! Sign up for a free account. (Or apply for a job!) Play with it, upload data, examine the data we’ve pre-loaded. Tell us what we should add, and what needs fixing. Help us help you, because if we create something truly valuable for you, then we are succeeding in our mission. We’re releasing the first version of DNAnexus.com today, featuring functional genomics analyses, and direct-upload capability from sequencing machines. But rest assured, we will be adding new features rapidly, and improving your experience. Next Next: Next-gen sequencing and the cloud – revolutionary, or hype?